1. Can you tell me how much air each type of Solar Whiz ventilators are able to move compared to a Whirlybird working at capacity? The different Solar Whiz roof ventilation fan units are capable of moving 10-30 times the amount of air that a Whirlybird moves – depending on the type of Whirlybird. An average Whirlybird moves around 100cbm/hr. The SW-RAF1400 is capable of doing 10-15 times that amount. The SW-RAF2100 has a capacity of 2100cbm/hr – about 50% more air than the SW-RAF1400. 2. What size Solar Whiz do I need? It depends on the size of roof space of your home. The SW1400 will provide enough ventilation for a standard pitched home up to around 16 squares or 150 square meters. The SW-RAF1400 would be suitable for those who want extra power and improved results or people with larger homes up to about 25 squares or about 225 square metres. The more powerful SW-RAF2100 is suitable for extra large homes up to about 33 squares or 300 square meters – it is also ideal for commercial applications where huge amounts of air need to be moved. For example warehouses, office buildings, sheds, stables etc. 3. How noisy is the fan of the Solar Whiz ventilators? The noise of the roof ventilation fans pretty much compares to the fan of a refrigerator (50dBA) but will be on the roof of your house! The SW-RAF1400 runs at less than 40dBA, SW2100 runs at less than 45dBA and SW_RAF2100 runs at less than 50dBA. 4. Is the gable end unit mounted at the end of the house in the wall towards the apex instead of on the roof? What models are available and what is their capacity? Yes, that is what the gable end unit is designed for. Three models are available – SW1400G, SW2100G and SW3000G. The air moving capacity is the same as the roof mounted Solar Whiz units (see question 1 and 2). 5. Can the Solar Whiz gable model be used for ventilating sub floor areas? The Solar Whiz Gable model is ideal for sub-floor ventilation. 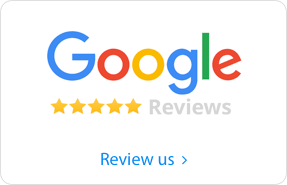 They are ideal as they only run when the sun is shining – which means you will generally only be drawing relatively warm and dry replacement air into your sub floor area. You may need a longer cable to power the unit via the external PV panel, which probably will be placed on the roof or other good North facing position. 6. How big an area/roof space does the Solar Whiz ventilate? 7. Can the Solar Whiz ventilators be used at night? At its basic level, the Solar Whiz ventilors will operate whenever the sun shines. However, we have developed a night operation system operating on a relay that will switch between powering the unit from the sun and a 12 volt power supply when the sun goes down. The system will automatically switch back to PV power when there is sufficient sun to run the fan. It is important to note that this system requires a power point in the roof space. 9. Can you over-ventilate your roof space? No! In general terms the more air changes the better and the closer you get to the temperature of the replacement air (ambient). Lower temperatures in your roof space, translates into lower temperatures in your home. Remember a Solar Whiz has the option of being thermostatically controlled and may therefore be turned off in the cooler months to avoid reducing temperatures in the roof space in the colder months. 10. What is the difference between an intake and exhaust vent? 11. Can I install Solar Whiz ventilators on my shed/workshop etc.? Absolutely! Tin and other varieties of sheds can get extremely hot in the summer months making them very uncomfortable to work in. The Solar Whiz is a great, cost effective way to keep a shed or workshop cool! As the Solar Whiz ventilator fan is completely solar operated, a unit can be installed in sheds with no electricity available. 12. Why is passive ventilation not enough? By the time passive ventilation kicks in – the roof space is already too hot. 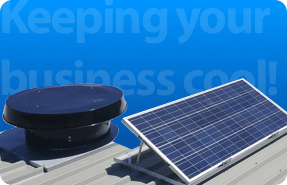 Solar Whiz ventilation solutions start working as soon as the sun shines, preventing your roof space from reaching high temperatures in the first place. As previously mentioned, the Solar Whiz is capable of moving a lot more air than your standard Whirlybirds. As far as other roof extractors at comparable prices go the Solar Whiz is a class leader. 13. What are your product warranties? The Solar Whiz has a 10 year warranty on its PV panel and 2 years on all other components. A full Warranty statement with terms and conditions can be found on the Solar Whiz or Global Eco & Environmental Solutions Website. 14. How do I obtain warranty service? In the unlikely event of making a warranty claim, you will need to give us a call on (03) 9808-1555 or 1300 655 118 and let us know the nature of the problem. Alternatively you can send us an e-mail with a photo attachment showing the problem. Replacement parts will be sent ASAP, and can be sent anywhere in Australia. Remember Solar Whiz roof ventilators have only one moving part and is covered by our 2 year warranty. 15. My warranty has expired - can I purchase replacement parts? Global Eco & Environmental Solutions has Solar Whiz parts which can be purchased if something happens outside the warranty covered. 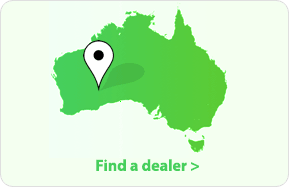 These parts are reasonably priced, and can be delivered anywhere in Australia. Contact us via email or phone (03) 9808-1555 or 1300 655 118 for current prices. 16. How difficult is it to install a Solar Whiz? Installing a Solar Whiz is pretty straight forward for a competent handyman or a professional installer. It is therefore possible to do the installation yourself and we are happy to provide installation instructions and advice. Most Solar Whiz units are installed by our dealers/installers. DIY Installation instructions can be found here. 17. How does roof line design affect a ventilation system? The flatter (lower pitched) your roof is the more difficult it becomes to achieve even air flow and hence ventilation. We recommend the installation of more eave vents in order to secure the necessary airflow though the roof space. If you would like specific advice on your requirements contact us by calling (03) 9808-1555 or 1300 655 118 or email solarwhiz@ges.com.au. 18. What if I do not have much space between the roof and ceiling (cathedral ceiling or flat roof)? Simple – all you need to do is install a Whirlymate vent directly under the Solar Whiz unit. This will allow you to extract hot air directly from the affected rooms. This is frequently used in 2 storey homes and homes with cathedral ceilings. Contact us for further details and photos of how this works. 19. Does the Solar Whiz turn off in winter? Can I install a thermostat? The Solar Whiz will operate when it is powered by the sun! To ensure it does not work during the cooler winter months we recommend installing a thermostat which can be used to set the unit in a way in so that it doesn’t operate during winter. Provided you don’t have moisture issues in the roof space (many houses do), you will want to keep as much heat in your roof space as possible during the colder months to minimise heat loss. 20. I want to stop warm air escaping during the winter months from the Solar Whiz opening even after installing a thermostat. How is this done? The thermostat obviously stops the unit from running in the colder winter times which will ensure that valuable heat in your roof space during these times isn’t being ventilated out. If you wish to take things a step further you can cut a piece of foam to fit and place it inside Solar Whiz roof ventilators. Our ceiling vents are able to be completely closed so you can close these easily in winter to stop valuable heat escaping. 21. Where are Solar Whiz products produced? 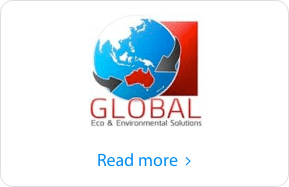 Solar Whiz is designed in Australia by Global Eco & Environmental Solutions (GES Pty Ltd) and developed and manufactured in cooperation with our Chinese partner. 22. Where can I purchase Solar Whiz products? 23. Do Solar Whiz ventilators still work in the rain? 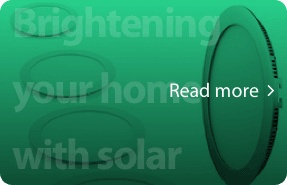 YES Solar Whiz roof ventilators will still work in the rain – if it is not too dark! The Solar Whiz will run slower in overcast or cloudy weather –even if it is raining, but it will still run at a speed high enough to continue venting your roof space all day long. To illustrate how the Solar Whiz works in rainy conditions please have a look at the below video. 24. Why are ceiling/eave vents important? There are two main purposes for the ceiling vents – one is to provide replacement air for the Solar Whiz units to enable them to extract hot air out the roof space, which can’t happen without access to replacement air, but the other function is to remove the hot air that accumulates in the upstairs rooms – which is why we recommend to put ceiling vents in hot the rooms, particularly if you live in a double storey house. 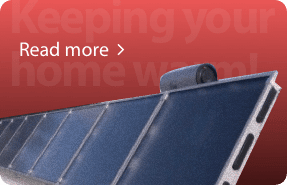 Interested in learning more about a solar roof ventilator?